We are engaged manufacturing Special Application for Doctoring Rewinding Machine with custom requirement. It is with an exclusive range of product quality specially used for flexible laminate, plain film, metalized films, Foil, Paper and much more. Also, all types of laminates, LDPE, HDPE, PVC, etc. It’s for especially used for quality control, we are manufacturing with most precision which ensures zero maintenance up to 10 years. 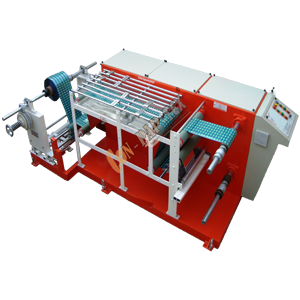 We are a genuine manufacturer, exporter, and supplier of Special Application for Doctoring Rewinding Machine. Also, Slitter Rewinder Machine, Winding Rewinding Machine for Inkjet Printer & Batch Printing since last 25 years from Ahmedabad, Gujarat, India. We are winner of 3 times National Award and 2 times International Award for Quality manufacturing.